A very long time ago now my husband asked me to knit him a pair of socks. Wouldn’t it have been lovely of me to have dropped everything I was doing and knit him a pair of socks? For one reason or another I just couldn’t make a start…maybe it was beginner’s nerves? It was obviously taking me so long to cast on that it prompted him to buy me this book for my birthday last month! 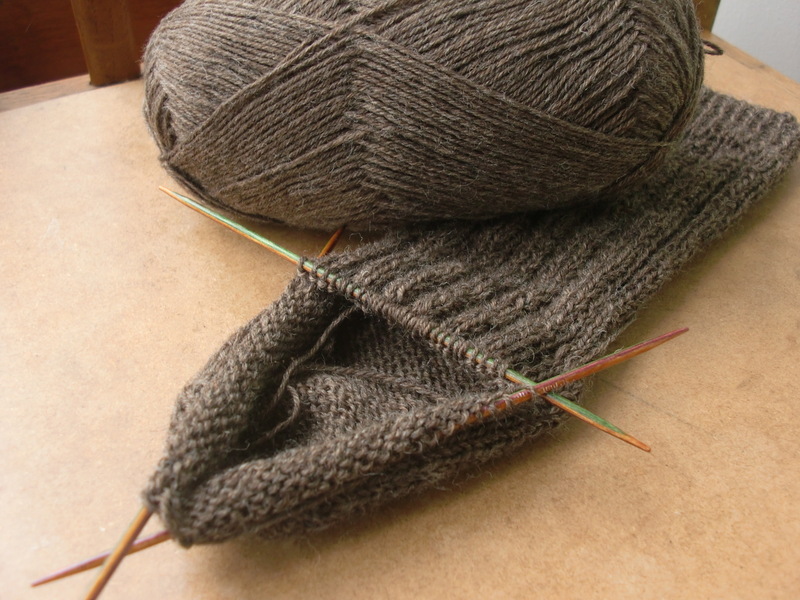 Good news all round…last week I finally cast on my first ever pair of ‘proper’ socks. I am a ‘read through the pattern before embarking on anything new’ kind of girl. I’ll be honest with you, this pattern frightened the life out of me. I really had no idea what it was talking about…eeep, I thought (or something to that effect). Luckily my husband bought be a book for my Birthday (see above!) and all has become clear. The pattern I have chosen is Globe Trotter Socks by Jodie St Clair. A lot of sock patterns seem to be quite feminine and pretty, but this pattern is quite ‘manly’, particularly in this colour. I am certain that there is nothing wrong with the pattern, it’s just me trying to get my head around knitting socks for the first time. 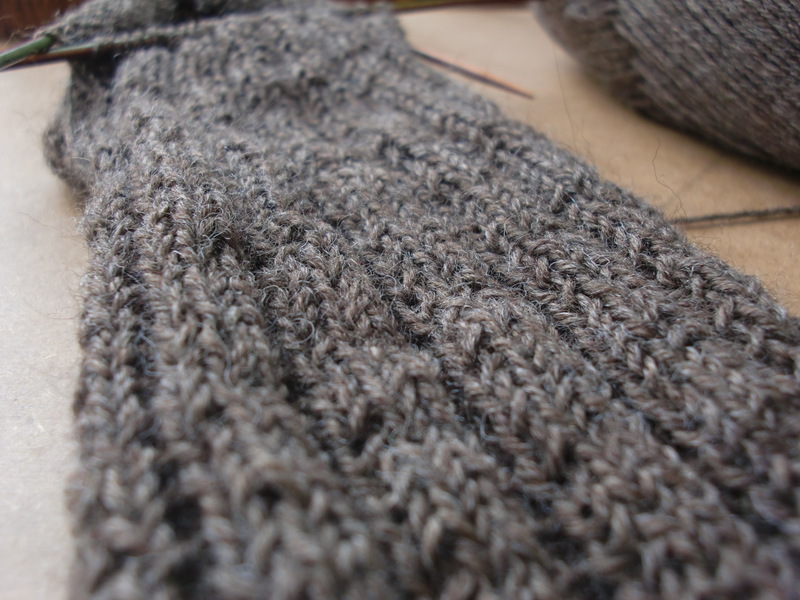 I think my biggest challenge with this project will be getting to the end of a pair of socks without starting a new project for myself…must learn to be a better wife! I love the colour, you’re right, very manly. Don’t worry if you have to cast on something else before they’re done…. 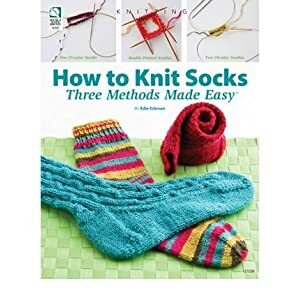 Aren’t socks meant to be knitted around other things? !